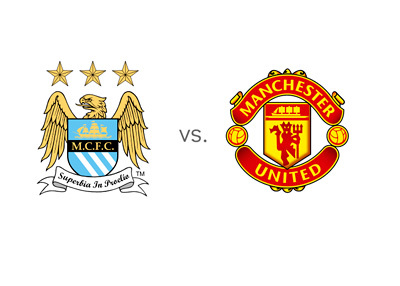 On Sunday, November 2nd, 2014 we have the Manchester derby to look forward to when City host United in the tenth round of the English Premier League. Last year's EPL and Capital One Cup winners, Manchester City, have had a rough few days after losing to West Ham 2-1 on the weekend and following that up with a 0-2 home loss to Newcastle in the Capital One Cup. On top of it all, one of the team's best players, David Silva, injured his knee in the last match and will likely miss the derby. City are currently in third place in the English Premier League tables. Manchester United seem to be coming into shape after a poor start to the season. In their last match they salvaged a point vs. league leaders, Chelsea, in the 94th minute. There has been a lot of fuss about United being 'back' after the Chelsea draw, but the truth is that the Red Devils were dominated at Old Trafford and are lucky to have escaped with a point. Manchester United are currently in eighth spot in the EPL tables. Manchester City are the favourites to win this match according to the odds. This is a big game for both teams. City are six points behind the league leaders and a win here is crucial to keep pace. Manchester United, on the other hand, are looking for a result to give their newly assembled squad confidence going forward.